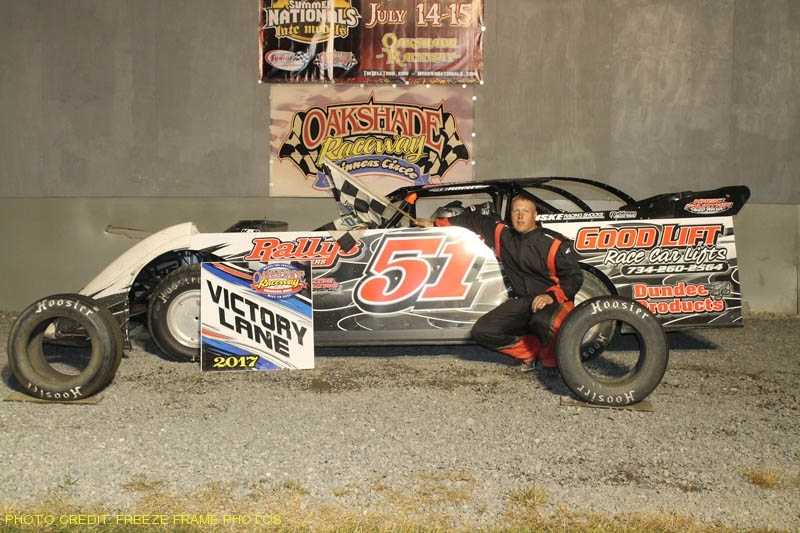 Devin Shiels from Britton, Michigan, increased his UMP Late Model point lead at Oakshade Raceway after picking up feature win number three on Saturday night. The Vintage American Race Cars were also in action featuring race cars from the 1930s through the 1980s including midgets, champ cars, sprints, modifieds, coupes and even a 1981 dirt late model that won one of the exhibition feature races. Steve Kester entered the night third in points and jumped out to a big lead early in the 25-lap UMP Late Model feature race after starting on the pole. Matt Shipley slowly began to reel in Kester while working through some slower lapped traffic, but a couple cautions on lap 15 and 18 tightened up the field. Shipley fell back after the restart for the lap 15 caution. After the lap 18 restart, Ryan Missler and Devin Shiels fanned out three-wide for the race lead. Shiels powered by on the outside to take the lead coming off turn two and went on to take the checkered flag. Kester held off Missler to finish second and also moved up one spot to second in the points behind Shiels. Following Missler, who ended up third, were Brian Ruhlman and Rusty Schlenk who started at the back of the running order. 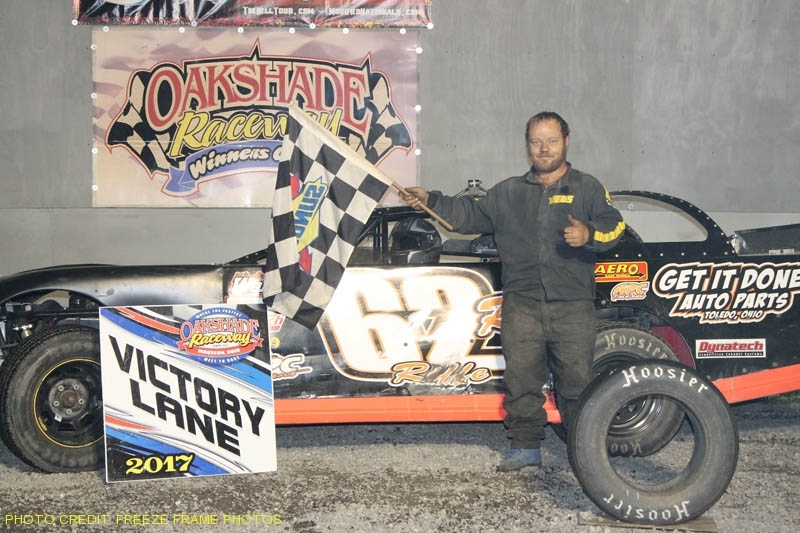 Wauseon, Ohio’s Jeff Geis picked up his second UMP Sportsman feature win in as many weeks, holding off a challenge from point leader Rusty Smith for much of the race. Bob Gregory was third and Chris Williams ended up fourth after starting 10th. Drew Smith, who is second in points, finished fifth. Gregg DeTray from Swanton, Ohio, started 7th in the Bomber A Main and worked his way up to the front to earn his third feature win of the year. William Cundick got his best finish of the season, winding up in second. 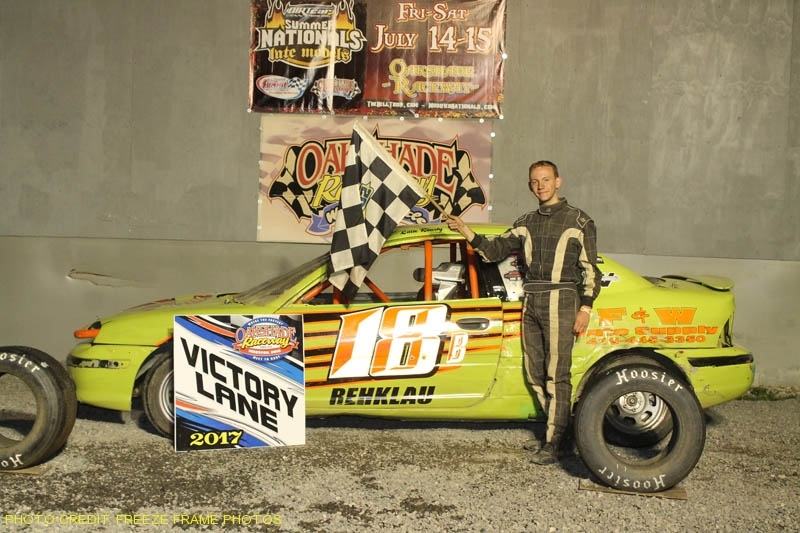 Last week’s A Main winner, Chris Henry, slipped back to a third place finish after starting on the outside of the front row. Tim Hancock, who is second in Bomber points, made up a little ground in the standings after finishing fourth. 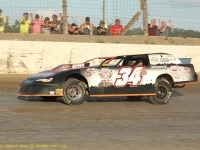 Jeff Foks Jr. maintained a slim two point lead after finishing fifth. Rich Riffe started inside the fifth row and quickly worked his way into contention of the Bomber B Main. Riffe worked his way up to second and after an early race restart, took over the race lead from Zach Stotz. 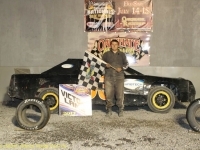 The Toledo, Ohio driver went on to pick up the win with Dave McMannamy and Josh Montague finishing second and third respectively. Stotz slipped back to fourth with Bobby Swagger fifth. 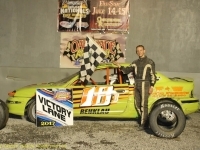 Brogan Rehklau has been on fire in the Compact class the past couple of weeks. 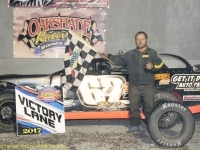 The Waldron, Michigan driver earned his fifth feature win of the year and third straight counting last week’s double features. 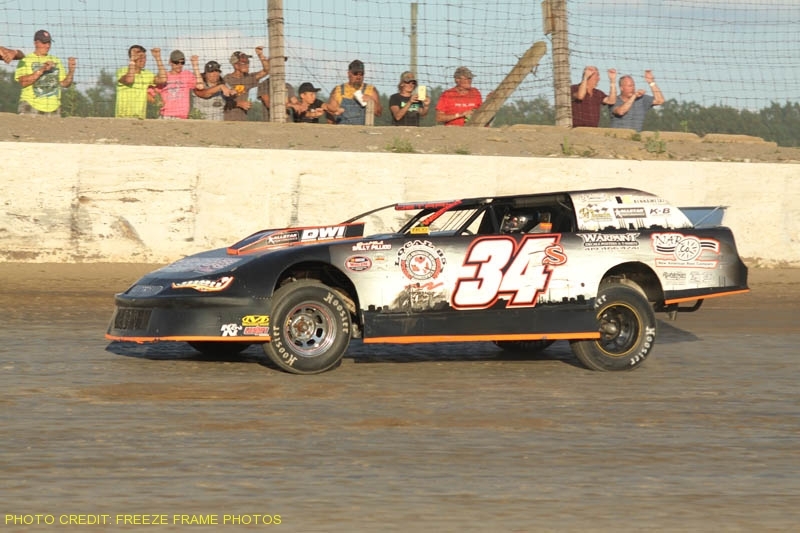 Cody Kipp capped off his season debut with a second place finish after starting 12th. Nathan Goodman finished third followed by point leader Jason Deshler in fourth. Cory Gumm ended up fifth. A couple of make up Bomber features from the rain-shortened June 17th event finished off the evening. 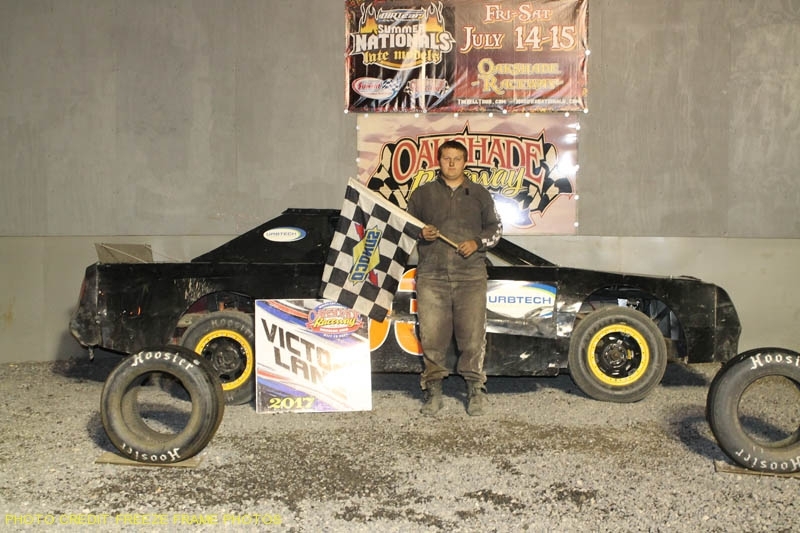 Rich Riffe added another A Main win to his list of accomplishments. It was his third of the year. Gregg DeTray settled for second after starting on the pole followed by Tim Hancock, Jeff Foks Jr. and Dylan Hough. Justin Gamber started at the rear of the final race of the night, the make up Bomber B Main and took the lead late. Gamber’s car pushed up high in the turn and Cody Laney from Hicksville, Ohio, got by and took the win. Shane Estes was able to take second with Gamber slipping back to third. 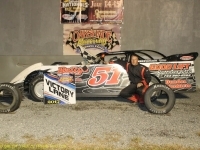 Cody Stetten was fourth with Brianna Ruby finishing fifth. 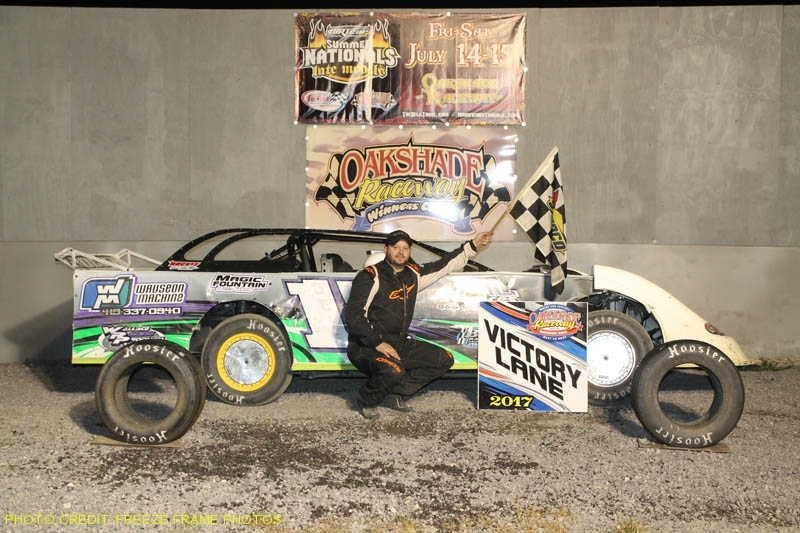 Two huge nights of racing are scheduled for Oakshade Raceway this coming weekend. There will be action on both Friday and Saturday as the Summer Nationals “Hell Tour” rolls in to town to crown their champion. On Friday night, the Summer Nationals Late Models will race for $5,000 to win and the Summit Racing Equipment Modifieds for $1,000. The stakes get higher on Saturday with $10,000 up for grabs to the winner of the Summer Nationals finale in the 19th Annual Birthday Race. 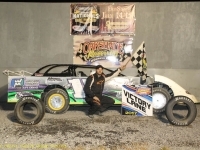 The Summit Racing Equipment Modifieds will race for $1,500 to win. Compacts will also be in action on Saturday night. Gates will open at 10am both Friday and Saturday with racing at 7:30 each night. General admission ticket holders will be able to access the pits on Saturday until 4pm.